WASHINGTON—After a series of closed-door talks, Scott Boras, the agent known for representing the highest-paid players in baseball, set another record for the game's largest contract when he finalized Manny Ramirez's $20 billion agreement with the United States federal government on Thursday. 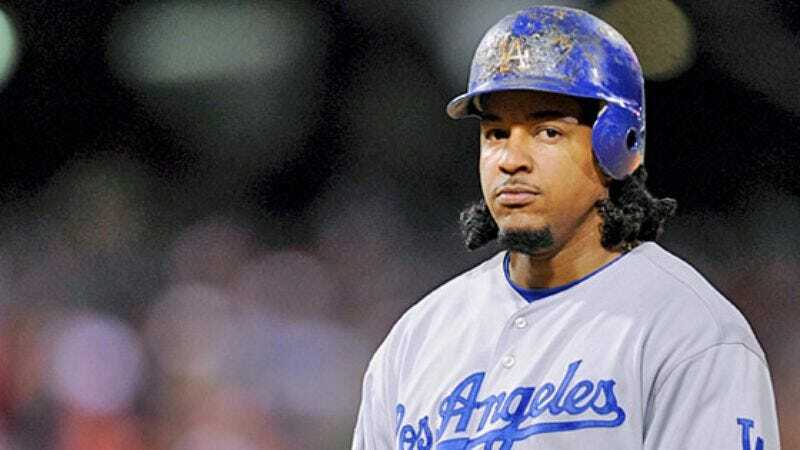 "Manny's .396 batting average last season with the Dodgers, as well as his playoff performance, proved that he is as important to this country as infrastructure projects, health care, and renewable energy development," Boras said during an interview, adding that Ramirez is especially satisfied with the indefinite length of the contract. "He's promised to cut 47 hours of antics this year and to make necessary attitude adjustments in order to remain solvent. Any criticism Manny receives for this contract is simply what comes with getting a huge amount of money from the government during a time of crisis." A clause in the contract states Ramirez could receive an additional $6 billion if he successfully saves the American auto industry.